From pumpkin spice to apple cider, enjoy all the delicious fall flavors in these decadent candy recipes! 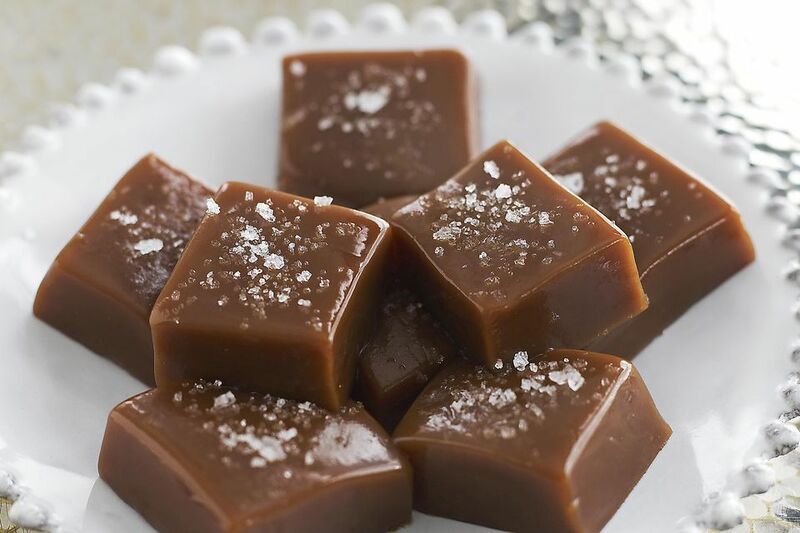 These delicious apple cider caramels taste just like fall. They are full of sweet cinnamon, apple and caramel flavor. They also look beautiful and are a cinch to make! Love pumpkin spice? Then you have to try these apple spice truffles. They are coated in luxurious chocolate and then topped with graham cracker crumbles. Candied citrus peels taste sweet and citrusy and are a great way to use up leftover peels! Pumpkin marshmallows are so cute. The soft and pillowy texture compliments the delicious pumpkin spice flavor. 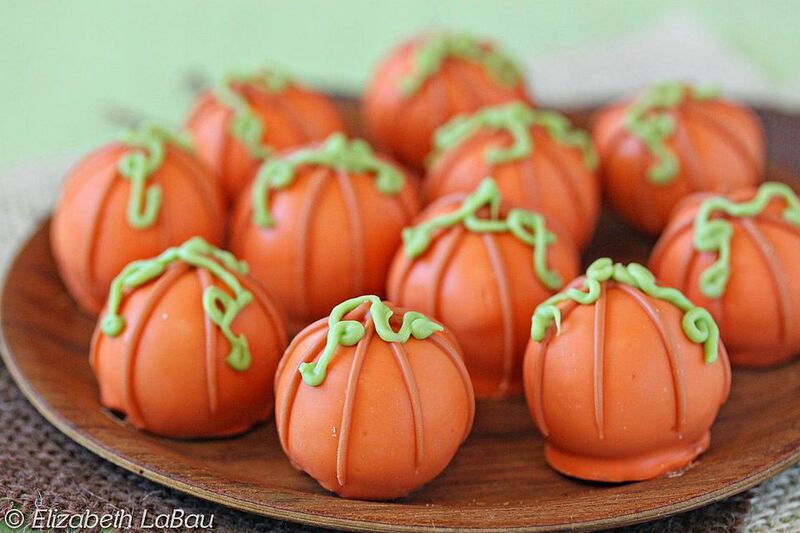 Pumpkin chocolate truffles have delicious pumpkin pie flavor all wrapped up into a little truffle. They will simply melt in your mouth! Candy apples are a classic fall treat. You may find them at fairgrounds, but they are super easy to make at home too. Red Hot candies give them their beautiful color and delicious cinnamon flavor. Caramel apples are another fairground favorite. They are easy to make at home and are a great fall recipe to make with older children. These delicious cranberry cashew caramel patties are very similar to the classic turtles, but with a nice fall flavor twist. Substitute the cashews for different nuts if you wish. What's cuter than miniature caramel apples? These are also so much easier to eat than their larger counterpart, not to mention the addition of chocolate is divine. These walnuts are coated in a delicious brown sugar glaze. They are crazy easy to make and smell of delicious fall flavors. Brown sugared walnuts are the perfect little treat to keep on your coffee table in the fall months. Pecan pie flavors come together in this delicious and easy fudge recipe. It's so much simpler than making a whole pecan pie and you still get all of the delicious flavor! These candied pecans are another super easy sweet and spicy candied pecans recipe. They are bursting with fall flavors and they make a festive addition to a fall table scape! These gorgeous pumpkin spice truffles take a little more decorating handy work, but it is so worth it! They are impressive and tasty. Nothing beats delicious maple flavor, especially when mixed with crunchy walnuts. This easy creamy maple walnut fudge recipe will be a huge hit with your family or among party guests! These delicious maple fondant truffles will be a sure favorite at any fall gathering. Who doesn't love rich maple flavor? Speaking of rich maple flavor...maple leaf candy! Who knew it was only two ingredients? It takes a little practice to get the perfect texture, but the results couldn't be tastier or prettier. Sweet potato cinnamon fudge is full of rich and creamy sweet potato and fragrant cinnamon. It's a great way to use up leftover sweet potatoes.